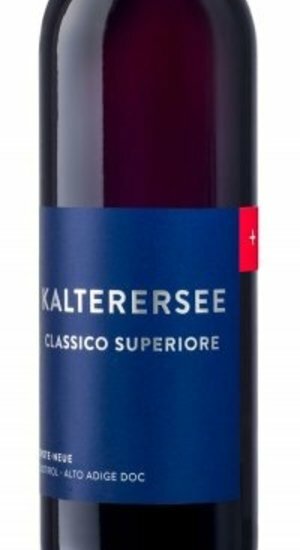 “Kalterersee” is the (German) name of the wine’s geographic appellation, referring to the Lake Caldaro (Kaltern) area southeast of Alto Adige’s capital, Bolzano. Alto Adige was once part of the Tyrol state of Austria and is still referred to as Süd Tyrol by its German-speaking residents. Made from 100% Schiava, the vineyards climb from the banks of the Adige River up high into the surrounding hills, with soils of glacial moraine, volcanic material—especially porphyritic quartz—and sediment that Schiava thrives in. Traditional fermentation with ageing in big wooden casks. Fermented in stainless steel and aged briefly in large, old, 80- and 100-hectoliter oak casks. In the glass it is a pale ruby with pink highlights. The aromas are a mix of blackberries and wild strawberries,, tomato leaf, duff, black pepper, baking spices and a hint of dried orange peel. It is light-bodied and juicy, with soft tannins and mild acidity, and this is a red wine were made for a nice chill.